*Authorized Lopi & DaVinci Fireplace Dealer* We are a full-fledged, family owned and operated business proudly serving southeastern Wisconsin. Life-long residents of the area, owners Rich & Terese, along with sons Rich and Nolan, comprise the core of the business along with several other hardworking, key employees. Keeping it small allows each customer to have a unique, one-on-one fireplace experience with the staff and service at your back. We try our best to support the Burlington and surrounding communities, and in return its given us a solid hearth foundation spanning back to 2000. Fireplaces are our life, and we try our best to help everyone out with simple questions all the way to specifics of design and installation. It always seems a little overzealous, but we truly do enjoy meeting and helping out each of our customers and would very much appreciate the chance to earn your business. Burlington Fireplace is the premier Custom Fireplace and Chimney Sweep Service provider in Southeast Wisconsin from Racine to Janesville, Milwaukee, Glendale to Waukesha and west to Lake Mills area. We offer top brands of Gas Fireplaces, Wood Stoves, Pellet Stoves, Wood Burning Fireplaces, Fireplace Inserts, Gas Burning Stoves, Outdoor Fireplaces, Pre-fab Fireplaces and much more. Experience over 30 beautiful burning displays by visiting our showroom. Let one of our knowledgeable staff assist you on your journey to adding a beautiful and economical fireplace to your home. Southeastern Wisconsin’s premier destination for quality hearth and stone products. Come see our complete burning display showroom featuring the finest wood, gas, pellet, and electric stoves and fireplaces. 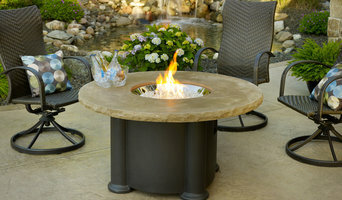 We offer a complete line of outdoor fireplaces, gas grills, wood-fired brick ovens, stone islands, and fire pits. Let us help you design your outdoor kitchen! In addition, we have an extensive selection of cultured and real thin-cut stone products. With experienced certified installers, financing options, and outstanding service, you’ll find everything you need to be cozy and warm! Locally owned and located in Southeastern Wisconsin, Hearthside has been the market leader for quality hearth and stonework for over a decade. Featuring NFI certified installers, and a complete showroom showcasing the best indoor and outdoor hearth and stone products in the industry. 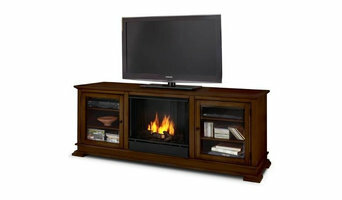 Real Flame is a leading family owned wholesaler of a wide range of fireplaces. Founded more than 30 years ago, Real Flame began selling ventless gel-fueled fireplaces for the home primarily through QVC and catalog accounts. Eventually we launched our own consumer web site. Our mission was simple; we wanted to provide a safe, quality built, beautifully designed and affordable fireplace to thousands of homeowners who did not want the expense or hassle of installing a traditional fireplace. At Quality Fireplace & Chimney Service we strive to provide fast response, professional service, and superior value. If you have a fireplace or wood-burning stove, you probably have a dirty chimney - the two simply go hand in hand. As wood burns, the combustion process produces solid bi-products called creosote, that builds up in your chimney or flue pipe. Creosote is highly combustible and the only way to get rid of it is through regular cleaning. 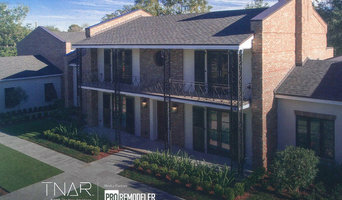 WITH OVER 25 YEARS EXPERIENCE IN ALL ASPECTS OF RESTORATION, REMODELING, MASONRY AND HOMEOWNER SERVICES... ...Vortex is equipped to handle any project involving brick, block, architectural precast, adhered stone, refractory, restoration, basement remodeling, tuck-pointing, bars, pavers, concrete, snow plowing, property management, and more. We pride ourselves in providing a full range of services and the highest quality craftsmanship. It is this attention to detail that has resulted in award-winning work for more than 25 years. What should you know about buying a fireplace in Waukesha? Since wood smoke contributes to air pollution, many cities have banned the use of wood-burning units. If you’d like to buy a wood burning unit, check the Waukesha, WI city policies first. If your home already has a wood-burning unit that you’re concerned about, contact a fireplace manufacturer to replace your wood-burning unit with an environmentally friendly electric or gas alternative. Gas inserts can be efficient heaters and may lower your electric-heat bill. Many adjust to provide high heat on a cold night or a low-burning flame for ambience. Interior fireplaces and mantel designs are as varied as home interiors. 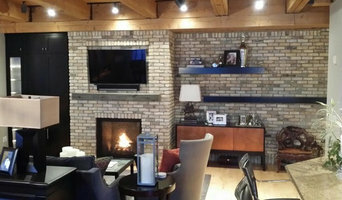 From custom fireplace mantels made to conceal a flat-screen TV to custom hearth designs with elaborate Renaissance-style stone mantels, the latest designs can be found by visiting Waukesha, WI fireplace showrooms. Find fireplace manufacturers and showrooms, plus fireplace installation professionals, on Houzz. 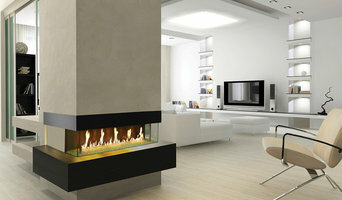 Go to the Professionals section to find Waukesha, WI fireplace design and installation experts.